Dr Adrian Butler is Reader in Subsurface Hydrology in the Department of Civil and Environmental Engineering at Imperial College London. His main teaching responsibilities are lecturing on groundwater flow and contaminant transport to both undergraduate and masters degree students. He is also Course Director for the Hydrology and Water Resources Management MSc course. His research is primarily associated with work on measuring, analysing and modelling subsurface flow and transport processes and their associated environmental impact. 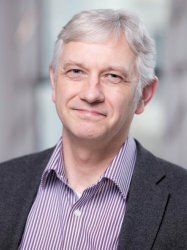 He has a particular interest in the Chalk of Southern England and has been involved in research on recharge processes, groundwater flow and contaminant transport using a range of geophysical techniques. He is also interested in the challenges of groundwater resource development under the influence of a changing climate. Another area of interest is in water resources and health in developing countries. He is currently jointly working with colleagues from the Department of Epidemiology in the School of Medicine on the impacts of water salinity on health in Bangladesh.